A tent is a tent, right? If only it were so simple. We explore the 8 types of tents and highlight the pros and cons of each. Did you know there are so many different types of tents? When I was just learning how to camp, I had no clue. But it makes sense when you think about it. Tents are designed for a very specific purpose: To give you portable shelter. Will you be driving or hiking to the site? 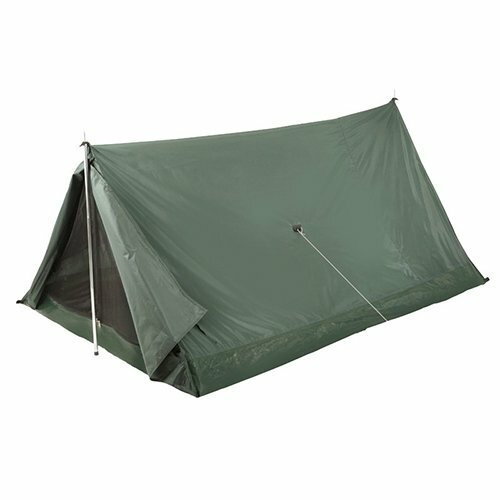 How complex should setting up the tent be? The answers to those 5 questions can result in vastly different requirements for your on-demand shelter. With that in mind, we explore the 8 different types of tents, highlighting what the style is known for as well as some pros and cons of each. Distinguishing Feature: Crisscrossing poles which meet at the top of the tent to create the characteristic dome shape, this is the tent you probably imagine when you think of a tent. Like the accompanying image shows, dome tents are the stereotypical tent design you probably see most often these days. They’re held up by collapsible poles and do not require any guylines. A guyline is a rope or cable used to stabilize something, such as a rainfly or an entire tent. They can be strung from the tent to the ground or to an elevated object, such as a tree. Sometimes these tents come with two poles, and sometimes they come with three. They can be small enough for two people or large enough for six. 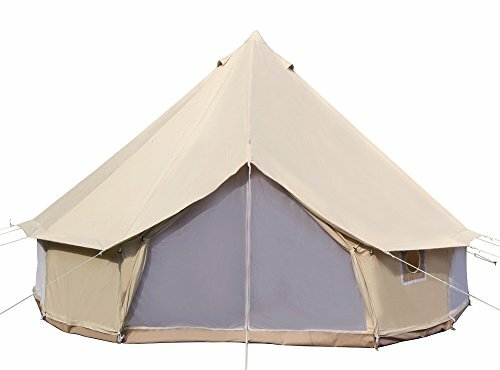 There’s a reason these are the most common tent design nowadays. They offer great bang for your buck, are easy to set up, and are a good blend between convenience and performance. As you can see below, the list of cons for dome tents is very short. Distinguishing Feature: All-in-one pop-up functionality with support poles integrated into the tent’s structure. Also called “pop-up tents” or “quick pitch tents,” this type of tent is characterized by an all-in-one design with integrated, jointed support poles that pop into place when being set up. 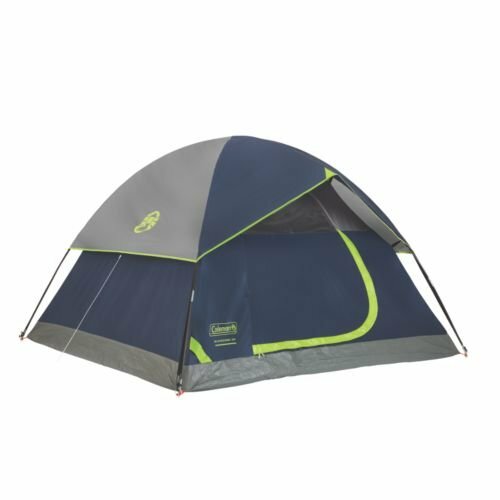 There are several pros and cons to these tents, as detailed below, and they have a very specific user in mind: Someone who values the ease and speed of getting these tents set up. Distinguishing Feature: Tube-shaped with multiple arching poles which run parallel to each other instead of intersecting. Of the myriad types of tents, few have as much livable space as tunnel tents. Well, vis-a-vis tents below give them a run for their money. Whereas most types of tents have intersecting poles to create the living space, tunnel tents have parallel poles erected in sequence. These tents also tend to require guylines — those support ropes/cables mentioned in the dome tent section above. That makes them more difficult and time consuming to set up than any of the other types of tents mentioned thus far. A nice feature of tunnel tents is the covered entryway many of them have, though this isn’t a necessary feature. 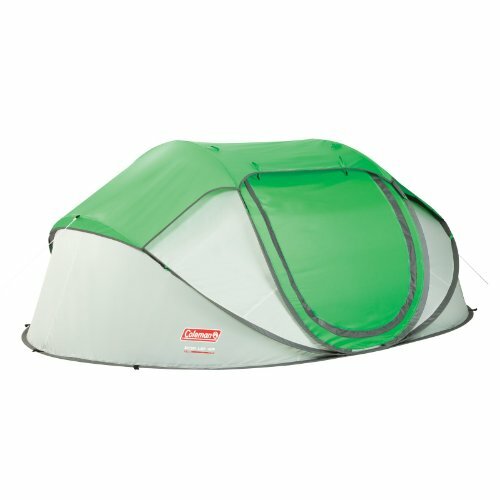 Distinguishing Feature: The iconic Boy Scout tent with the classic design from old cartoons. They basically look like a tarp or canvas cover stretched over a clothesline, don’t they? Ridge tents are not exactly luxurious, but for one or two people they can be great. Their sloped design makes them incredibly study, even in strong winds, but comes at the expense of headroom. If you’re a single person sleeping in the middle, the ridge tent’s high ceiling at the center is perfect. If you’re trying to stuff two people in there, each one sleeping off-center, you definitely won’t have as much room to move around. 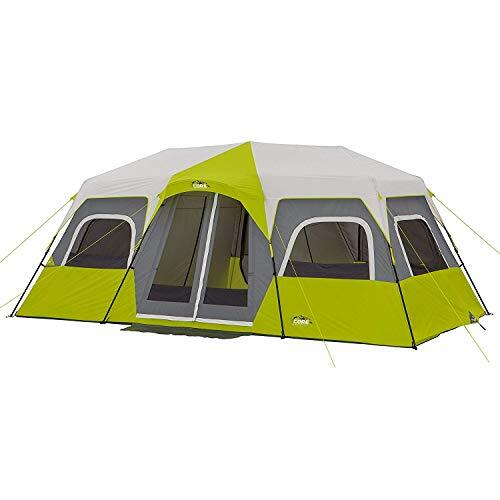 A larger version of this tent looks almost like a house with four walls and a sloped roof on top. These versions tend to require more guylines to stabilize. 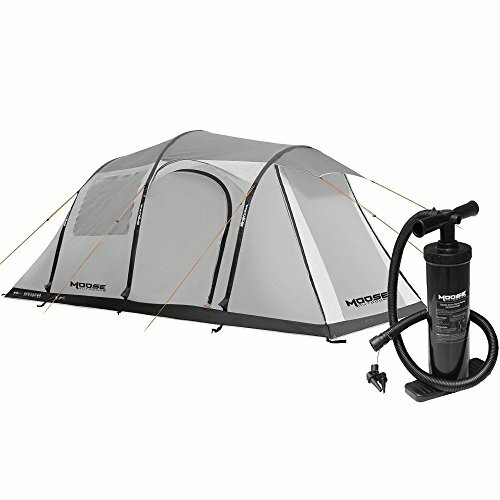 Distinguishing Feature: Uses inflatable tubes instead of metallic or plastic rods to prop up the tent. Inflatable tents remove the need for bulky tent poles and instead use inflatable tubes to provide structure to the tent. The real pro of these tents is how easy they are to set up: Stretch out the corners and let the air flow. The real downside is you need either an electric pump, which requires electricity, or a foot pump, which requires time. These tents are newer and not quite popular yet, and much of that is due to their higher cost and heavier weight. 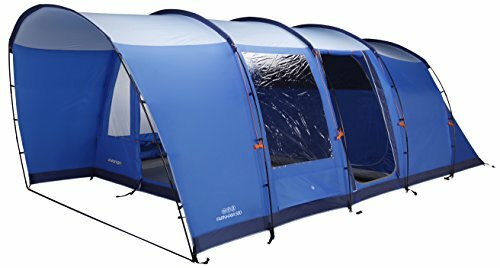 I think inflatable tents are great for glamping or if you want to show off with friends, but I think most other types of tents are more practical and reliable for regular use. Distinguishing Feature: Characterized by multiple intersecting poles, these tents are like dome tents on steroids and would make your high school math teacher proud. How aesthetically pleasing is the geodesic tent pictured here, huh? It’s beautiful! But I thought the inflatable tubes on the tent shown here do a great job of highlighting the design and structure of a geodesic tent. 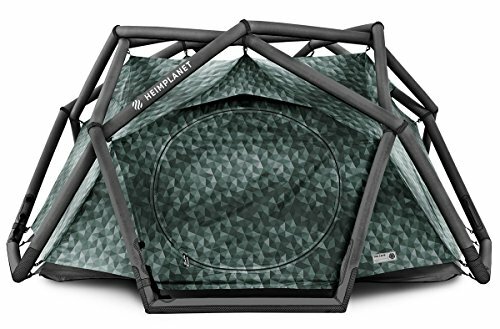 These tents have the same basic structure as a dome tent but have additional supports to create a bunch of triangles all over the tent’s surface. These triangles reinforce its strength and give geodesic tents a great ability to withstand higher winds and inclement weather. There’s also a subcategory of geodesic tents called semi-geodesic tents, which have fewer supports and are sort of a mid-point between dome tents and full-on geodesic tents. Unsurprisingly, their ability to battle the elements rates somewhere in the middle as well. Distinguishing Feature: Comes with a large foyer, mud room, master bedroom, guest bedroom, solarium, and two-car garage. Obviously the Distinguishing Feature comment above is sarcastic, but the fact remains that these tents are typically huge. If you’ve ever seen a large family tent sleeping 4-8 people (or more) there’s a good chance it was a vis-a-vis tent. Why do they call it vis-a-vis? Vis-a-vis means “face to face” in French and speaks to the design of these tents with separate living quarters positioned facing each other. It’s also appropriate because the vis-a-vis design originated in France. These tents are different than tunnel tents in that vis-a-vis tents tend to be taller and boxier than the more tubular tunnel tents. Note: I don’t mean this definition of tubular. I mean quite literally tube-shaped. Due to the complexity of their fully-erected design and the amount of material required, these tents are perfect for family car camping trips and not so great for minimalist backpacking excursions. Distinguishing Feature: Looks a little like a tipi (or is it teepee?). In terms of design, these tents have a lot in common with the ridge tent, just in sort of a multi-dimensional way. The circular shape gives bell tents the ability to sleep far more people than ridge tents, but they have the same vertical space limitations near the edges. However, an interesting feature of these tents comes from their tipi/teepee-like design: They can house a fire or wood-burning stove! We’re all familiar with the Native American tipi with the open roof allowing the smoke from the fire to escape. If you aren’t, click here. Bell tents afford the same functionality. They also tend to be made of heavier materials, such as canvas, which makes them supremely durable. Unfortunately, this also makes bell tents impractical for short term or nomadic camping. Which Types of Tents Are Your Favorite? Do you have a go-to tent design? Are there any pros or cons we missed? Comment below with your thoughts and experiences!